I’m a huge science fiction fan, and Star Wars is nerd-indulgence of choice. Ever since I saw Top Gun for the first time, I knew I wanted to be a fighter pilot. And ever since I was a wee lad, I knew I wanted to join the military or be a police officer so I could protect and help those that needed help and protection. When I saw Star Wars for the first time (when Empire Strikes Back was re-released in 1997), I knew that my ultimate fantasy was to be an ace Jedi pilot for five reasons. Jedi are highly trained and extremely disciplined individuals. Taught from an early age to deny themselves for the greater good of the galaxy and its people, Jedi constantly train in everything from combat to acrobatics and gymnastics, and practice tremendous self-discipline through self-denial and frequent meditation. Even their clothing helps cultivate self-discipline, as the rough material of their cloaks is chosen specifically to help them learn how to ignore hardship and life’s minor annoyances. All Jedi practice both armed and unarmed combat techniques, with their armed training including lightsabers, blasters, and vibroblades (small, ultrasonic-vibrating knives). Most Jedi were also trained to be competent pilots. The self-discipline and work ethic displayed by Jedi is something I’m envious of. Need I say more? The coolest part about being a Jedi is the Force powers. Being able to cloud people’s minds, levitate incredibly heavy objects, tell if a person is lying, or have superhuman strength, stamina, wisdom, and combat prowess would be fantastic. And let’s not forget about one of the most-overlooked parts of having Force powers: you’d never again be tormented by that itch in the center of your back that you just…can’t…quite…reach. Jedi remain true to their duties, often sacrificing their lives on the altar of freedom. Jedi don’t run from danger, and they always confronted evil when they saw it. A good example of this is when Obi-Wan Kenobi allowed Darth Vader to strike him down, giving Luke, Han, and Leia time to escape the Death Star in the Millennium Falcon. This appeals to me probably more than any other characteristic of the Jedi, because it accurately reflects what I feel is the most worthy personality trait a person can have. I would love to have a lightsaber. Lightsabers can deflect blaster fire, absorb incoming electricity or Force lightning, and cut through several meters of ultra-dense, extremely heavy composite metal doors—and they’re just so danged amazing. They’re so amazing, in fact, that I once tried to talk my physics teacher into building me one. Too bad he gave some excuse about lightsabers not being possible. 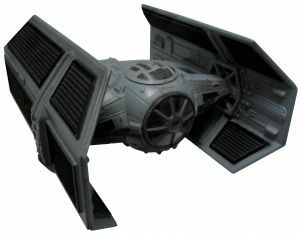 And don’t even get me started on being a starfighter pilot—being able to engage in fast and furious dogfights with enemy fighters, pulling off thrilling maneuvers, and independently pushing .7 past lightspeed would definitely satisfy my craving for doing all things adrenaline-producing. Jedi are the Star Wars equivalent of today’s police officers and military personnel. They frequently put their lives on the line in the face of great personal danger so that others would be safe and free from evil and tyranny. What do you think would be the best part about being a Jedi? If being a Jedi isn’t for you, what’s your ultimate fantasy career?